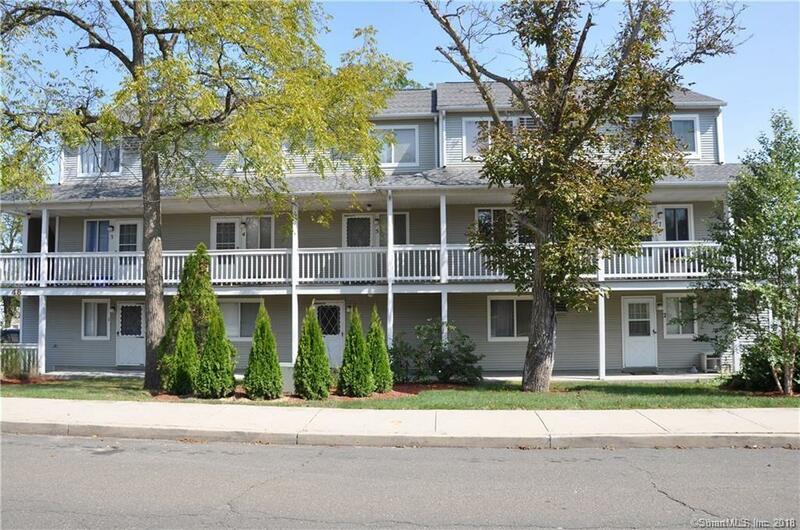 Close to downtown Stamford & set on a quiet street in a convenient waterfront beach community. Within a short walk to Cove Island park & beach, Terry Connors Ice Rink, fun restaurants, and Chelsea Piers! Freshly painted, this sunny unit offers two levels of spacious living with ample reserved parking, your own washer/dryer and low common charges. The main living area features an open living and dining room with wood floors, plus spacious kitchen with newer appliances, breakfast bar and white cabinetry. Upstairs, there is a generous sized master bedroom with vaulted ceiling & ample closets, full bath plus guest bedroom. Sit on the private deck with sweeping treetop views and smell the salt air during evening sunsets or warm weather dining! Two reserved parking spaces, additional storage locker and very low common charges at $275.00 per month, makes this unit a great value! Directions: Cove Road To Dean Street #48. Please Park In "v" Spot.